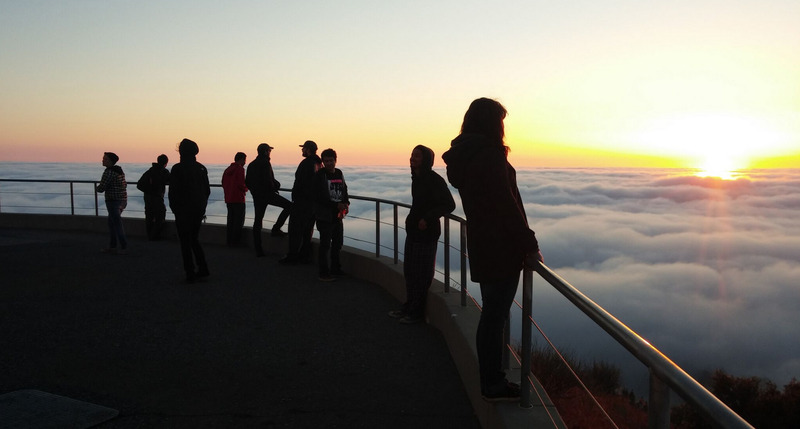 Tour group watches the fog rolling in to Lick Observatory. Photo by Xavier Prochaska. Book a private tour with us. 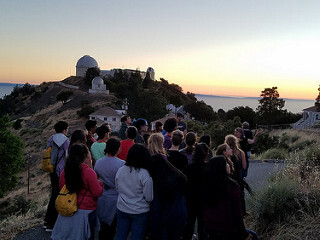 At Lick Observatory, we offer private daytime and evening tours from April through October. A daytime tour starts at our Visitor's Center and is a walking tour of the Observatory, including behind the scenes access to the 3-m Shane Reflecting Telescope (the main research instrument used by the astronomers at Lick) and the 36" Great Refractor. 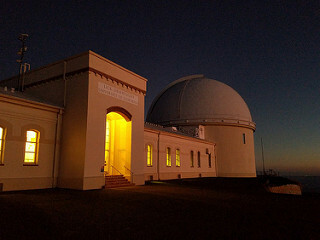 History and current science conducted at the observatory are highlighted on the tour. Typically 2 hours long. 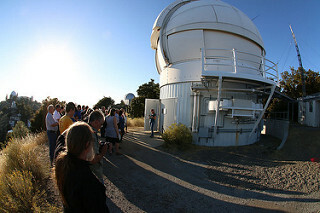 An evening tour starts at our Visitor's Center and guests can look forward to seeing the 3-m Shane Reflecting Telescope (the main research instrument used by the astronomers at Lick) and learning about the ongoing research in astronomy and astrophysics and, hopefully, weather permitting, viewing astronomical objects through the 36" Refractor. Typically 4.5-5 hours long. Each tour can accommodate groups of up to 40 participants. During each of these tours, participants may purchase photographs, posters, booklets, T-shirts, etc. at the Gift Shop. We do require a certificate of insurance from tour groups. Here is a PDF with our standard event insurance requirements. If your group does not currently have insurance sufficient for the event, event insurance coverage can be obtained via http://ucsc.marshcampusconnexions.com, using the “vendor” option for “tenant user liability insurance”. Note: if you are a University of California affiliated group, this requirement does not pertain to your group. Tours can be scheduled anytime between the months of April and October, as long as the facilities and staff are available. Custom events and parties can be arranged. Want to learn more? 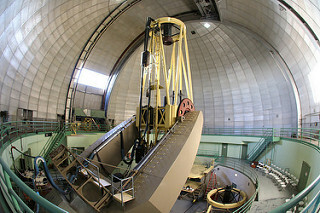 Please complete the Lick Observatory Facilities Use Request Form here.